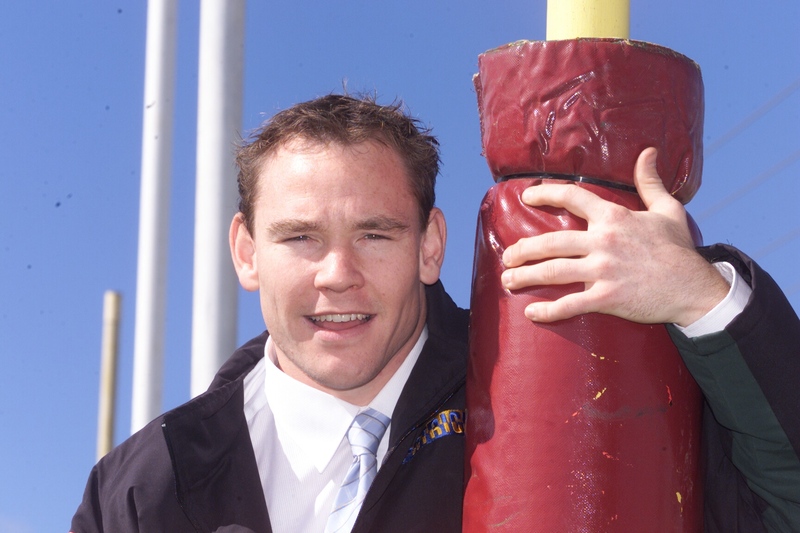 Trent Bartlett is the ‘big ship’ of Tasmanian football. A schoolboy champion at Deloraine, he captained a Tasmanian underage team before he was drafted as a 16-year-old in the 1993 Draft. He ultimately spent a decade in the AFL with Brisbane and the Western Bulldogs. Having developed as a teenager with the Brisbane teams he transferred to the Western Bulldogs for his three most productive seasons at the national level. In 2003 he returned to Tasmania to play and serve the game with the Tasmanian Devils and AFL Tasmania. He continued to perform as a powerful centre half forward or ruckman for the Tasmanian Devils, leading the team into consecutive finals series in the VFL. In many ways this was a high point of Tasmanian football achievement in the modern era and Bartlett was regarded by Tasmania’s coach, Mathew Armstrong, as the Devils’ most valuable player for his leadership and influence on the game. Trent Bartlett’s playing career was curtailed by severe ankle injuries, a chronic problem since he had been forced to sit out the 1997 season altogether. Subsequently Bartlett has proven himself a tremendous servant of football in Tasmania at the highest level. After serving AFL Tasmania as a business development manager for many years he now continues to assist the development of the game as the Tasmanian Women’s representative team coach.